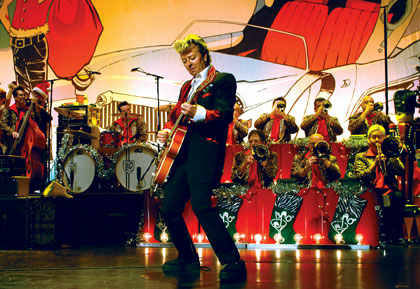 Brian Setzer Orchestra Coming to Gallo Center! It is Christmas time already and this is your first gift! Modesto USA, we are going to have one awesome Rockabilly Christmas. 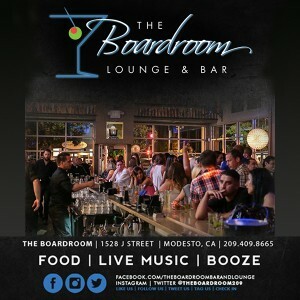 This is our music, this is our place and Modesto is going to rock and swing like crazy on December 22. How fantastic is this? The iconic guitarist, songwriter, vocalist and three time Grammy-Award winner is bringing his Christmas show to the Gallo Center! Brian Setzer is a “Musician’s Musician” credited with continually taking chances with innovative and daring musical styles, while single-handedly resurrecting two forgotten genres of music (rockabilly in the ‘80’s and swing in the ’90’s). Along the way, he has scored chart-topping hits, sold 13 million records and received the Orville H. Gibson Lifetime Achievement Award throughout his decorated career as founder/leader of the Stray Cats, his 18-piece Brian Setzer Orchestra, and as a solo artist. He is consistently cited as one of the world’s greatest living guitarists. Check out this Rockin Video! 13th Annual Christmas Rocks Tour!